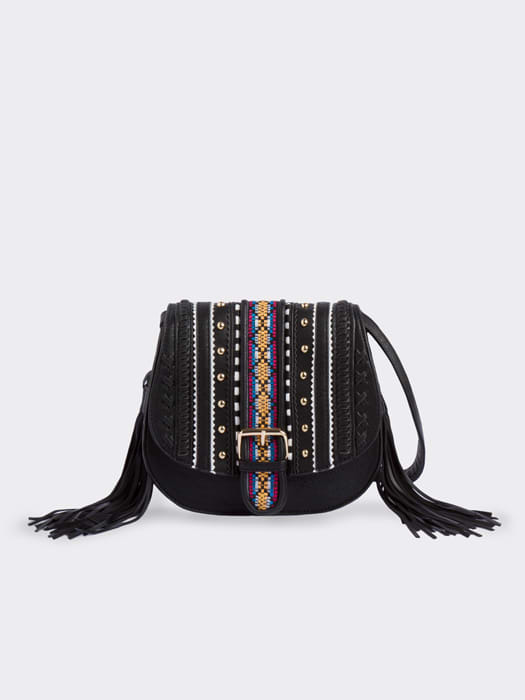 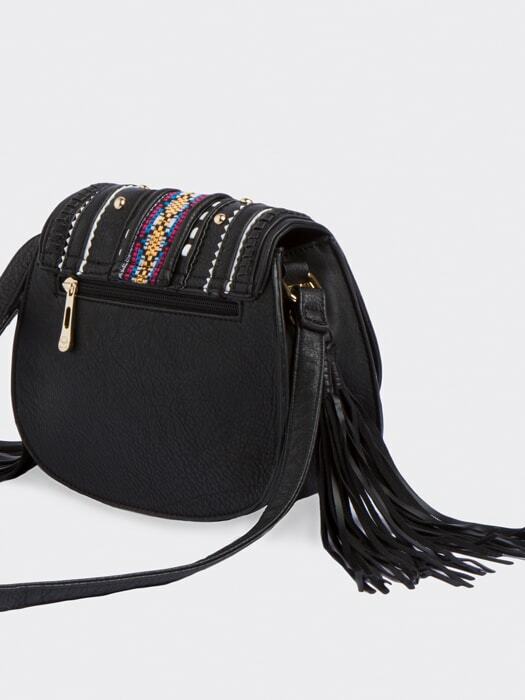 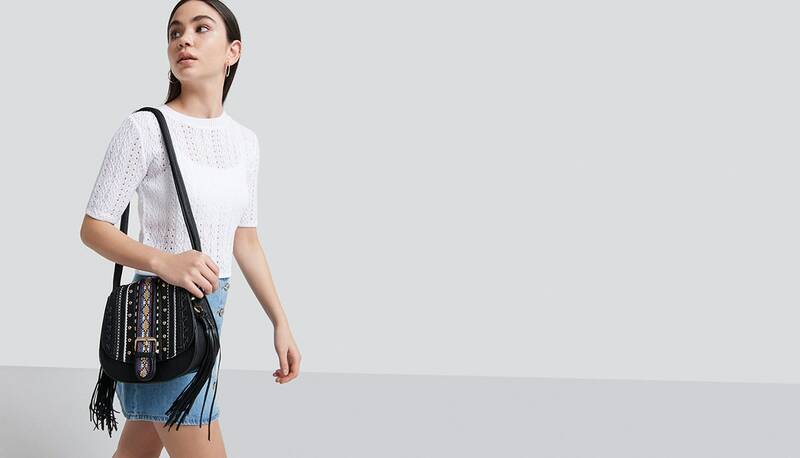 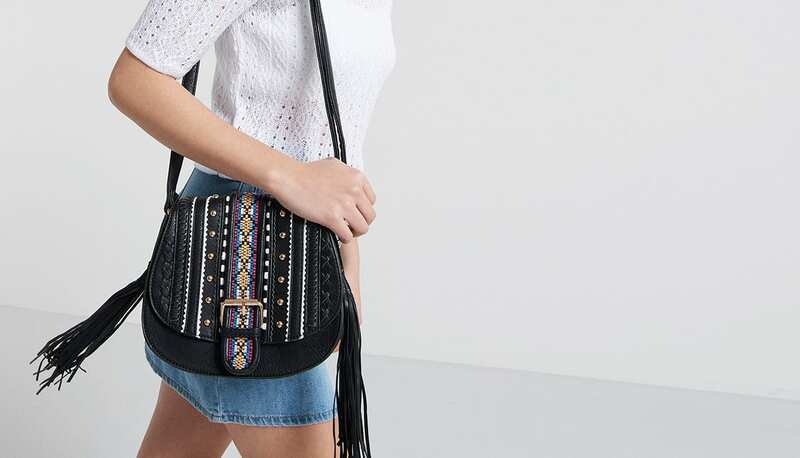 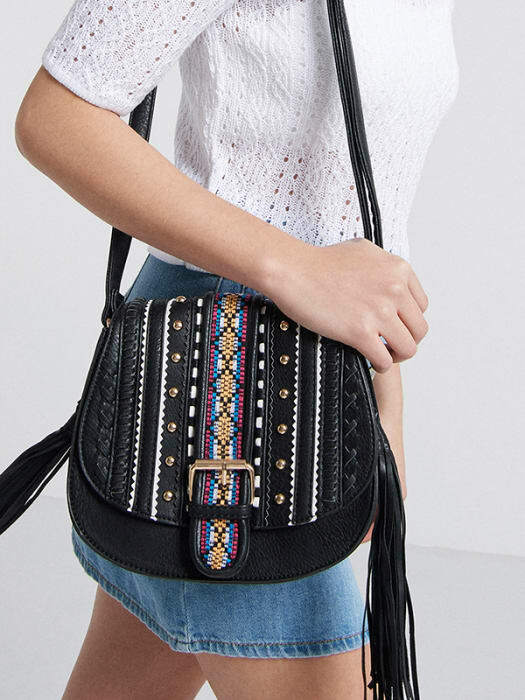 Tap into this season’s embroidery trend with our black saddle bag, complete with twin-tassel detail. 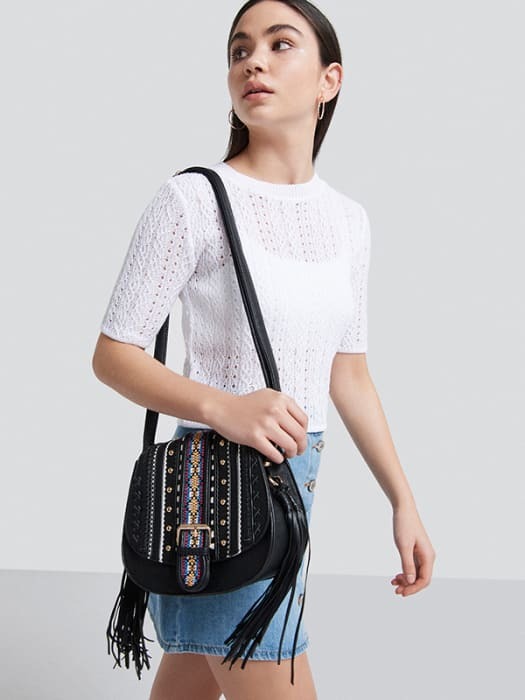 The buckle strap provides an adjustable fit, while the statement fold-over lid’s kept in place thanks to a magnetic fastening. 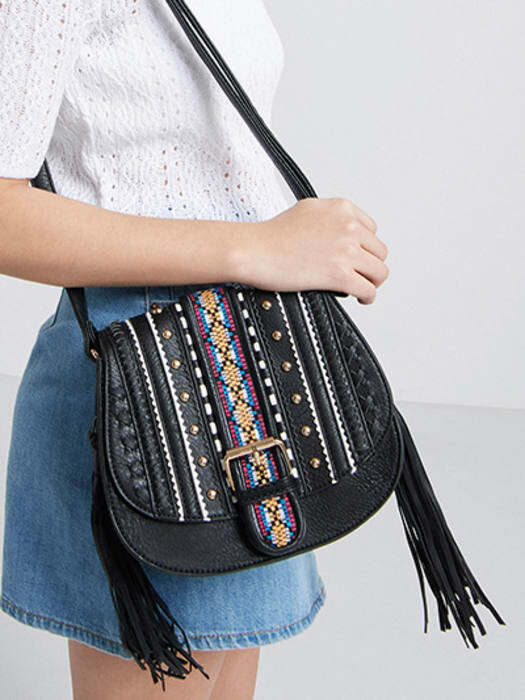 Ideal for festival season, it’s just big enough for a few away-from-the-tent essentials.